Judging by the number of words I’ve expended on the subject, you can be forgiven for believing I enjoy wading into the debate and defending the right of ordinary people like myself to pay Sherpas to help us achieve the dream of climbing Everest (and therefore, the right of Sherpas to earn an income from doing so). The truth is, I don’t really. The argument gets a bit boring as it gets more vitriolic. The vitriol nearly always originates from people who are badly informed. Haters will hate, and it’s easier just to turn the other cheek. I believe the debate has progressed in the last couple of years. While journalists still rarely take the time to understand the perspective of commercial clients like myself, they are at least starting to understand the importance of Everest and mountaineering to the Nepalese economy. But every so often a badly-informed article appears in a mass-market publication which takes the argument back a few years, and reignites hatred against those who dream of climbing high mountains. The perpetrator on this occasion is the New York Times, who last month published an article with the moronic, cringeworthy headline Sherpa: They Die, We Go Home. The headline is deliberately inflammatory, designed to incite hatred against those who climb Everest. A cursory read of the 100+ comments at the end of the article, suggests that it succeeds in its purpose. We could dismiss the headline as desperate clickbait, but we shouldn’t because it’s more corrosive than that. More subtly the headline insults Sherpas, casting them as helpless cannon fodder. In reality most Sherpas are enterprising, industrious, and well respected, both in their community and by those who employ them. Misleading headlines like this don’t help their cause, and may even damage it by deceiving potential tourists. So much for the headline, which was probably written by a clueless editor who has no interest in the subject of the article. How about the content of the article itself? Sadly, that’s almost as bad. It was written by someone called Mike Chambers, who from the text appears to be the leader of a commercial expedition, who funded his climb through sponsorship. From a remark he makes about his inability to influence whether his Sherpas get paid, I’m guessing he employed a Nepali operator to arrange the logistics, and the smooth running of the expedition was largely in their hands. After a little Googling I discovered from this interview on Alan Arnette’s blog that he was a charity worker who had also guided several treks up Kilimanjaro before attempting Everest. Why is his background important? It helps to have some context. I believe that if we criticise others we should practice what we preach, because hypocrisy weakens our arguments. I will let you make up your own minds about whether he can claim moral high ground over the commercial clients and operators he condemns. 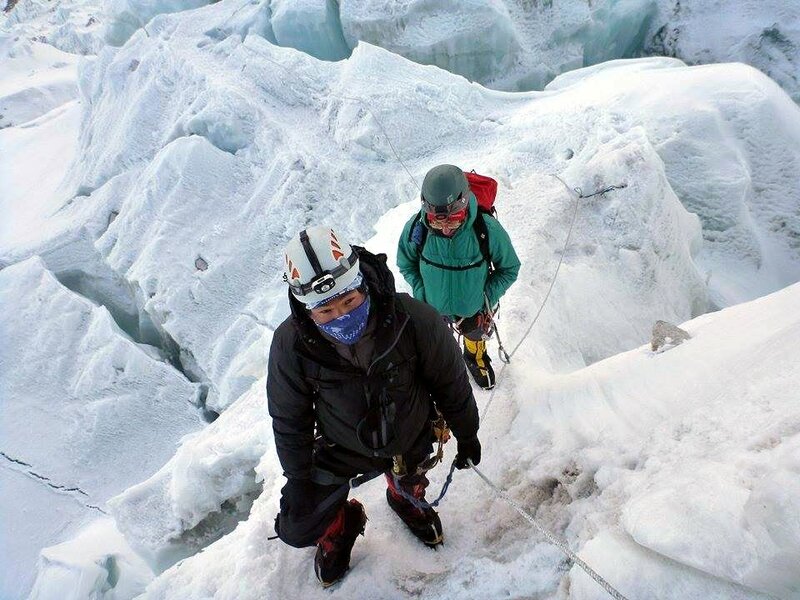 The first half of the article is an eyewitness account of the April 2014 avalanche in the Khumbu Icefall which killed sixteen Nepali mountaineering workers. Like me he saw the avalanche as it happened. You can read my own eyewitness account here and compare it. It appears that we watched the same events, but we had very different interpretations of what followed. The second half of the New York Times article appears to be a lazy rehash of the infamous The Disposable Man article which appeared in Outside magazine a few years ago. It even quotes from it (as well as having a similarly disrespectful headline). This piece made some strong arguments about porter insurance and safety, but was so one-sided and written in such provocative language that any good points were completely drowned out in a sea of rage. It’s most notorious and desperate line was repeated verbatim in the New York Times article. There’s no other service industry in the world that so frequently kills and maims its workers for the benefit of paying clients. This absurd claim, based on false data (as I will explain), has been quoted ad nauseum by Everest haters. In my dozens of treks and expeditions in Nepal, I can promise you I have never had anyone killed for my benefit. There has not been a single fatality on any of them. Nor has anyone been maimed for my benefit. As far as I’m aware there hasn’t been a single case of serious frostbite. Sherpas and porters have sometimes been sent back down due to altitude sickness, but the same can be said of paying clients. Back at a lower altitude they make an immediate recovery. Nor do I know any tourists in Nepal who have had people killed or maimed for their benefit. To express the risk in those terms is like saying that in no other country but America are so many automatic weapons sold to ordinary members of the public for the purpose of high school massacres and shopping mall murder sprees. In fairness to Outside, they have toned down their approach to Everest reporting since The Disposable Man was published. 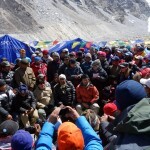 They now recognise the importance of Everest to the Sherpa community and the Nepalese economy. While at times they are still critical, their reporting of Everest has become more balanced. Mike Chambers may be unaware of this, because he also cites the oft-quoted “study” Outside magazine did which compares Sherpa death rates on Everest to death rates in other American service industries. This study makes a mockery of investigative journalism, and I debunked it comprehensively in my post The cod science of Everest hate. To summarise, the study takes a formula used by the US Bureau of Labor Statistics which was designed for large quantities of highly accurate data. Outside had neither of these things, but nevertheless they stuck the number X into the formula and calculated that over 4000 Sherpas died on Everest in a ten year period between 2004-2014 (in reality less than 300 people – both Sherpa and foreigner – have died on Everest in nearly 100 years). Outside provided no details about how they arrived at X, and due to the number of variables involved I challenged them to explain it, but although I’m pretty certain they have read my post they have never responded. If you ever see anyone comparing Everest Sherpas with soldiers in Iraq, and stating it as fact, please share my post with them. The debate has moved on since The Disposable Man was published, though the New York Times may be unaware of this. 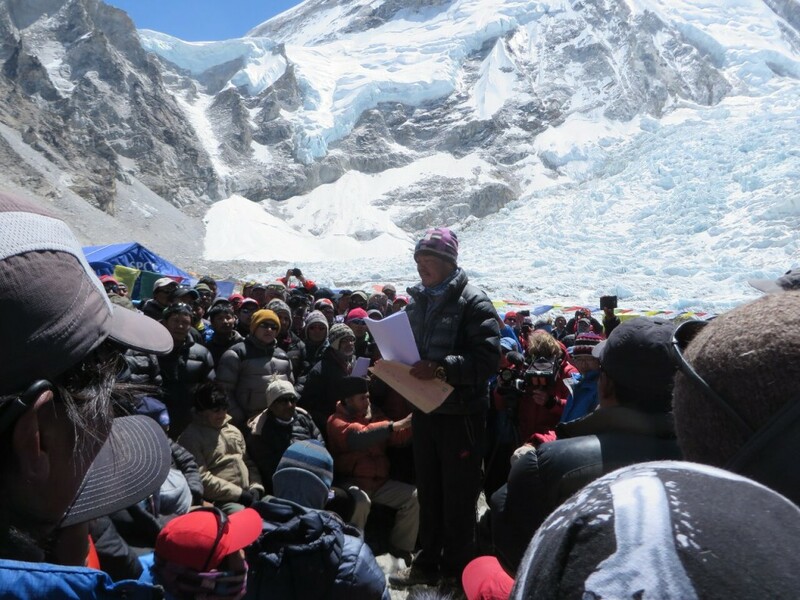 The strike which followed the avalanche in 2014 revealed a Sherpa community which was far from helpless. The climbers who remained in Nepal following the 2015 earthquake to contribute to the disaster response, revealed people with a great attachment to the country, who did not simply “go home”. Mike Chambers can only claim to speak for himself on that count. Most Everest climbers have been to Nepal many times; for lots of us it’s the foreign country we have visited most often, and we continue to do so when Everest is no longer a goal. Other statements in the article are either muddled or inaccurate. He compares the wage of climbing Sherpas ($5000) with that of Western guides ($50,000). You could compare it another way: climbing Sherpas can afford to support extended families, while in the West being a climbing guide is a comparatively poor profession and very few people are able to support more than their immediate family. There may be some Western guides who are paid $50,000 (though I would be surprised); in reality most are paid far less, and some even pay for the privilege of joining a team. I often hear folks justify the low wages of Sherpa by comparing them to the national average wage in Nepal. Why are we benchmarking the wage of a climbing Sherpa next to the wage of a farmer, a driver, the proprietor of a tea house, when the Sherpa’s job is much deadlier? Come again? There are all sorts of reasons people are paid more for one job than another. Risk is one perfectly reasonable one. Most people who choose more dangerous jobs expect a higher salary to compensate for the risk, and any climbing Sherpa who chooses not to accept the risk can still take a lower salary, be a farmer, a yak driver, work in a tea house, or move to Kathmandu in the hope of finding an alternative career. Let’s be clear. In Nepal $5000 is not a low wage. It can easily provide for a person and their family for a year. 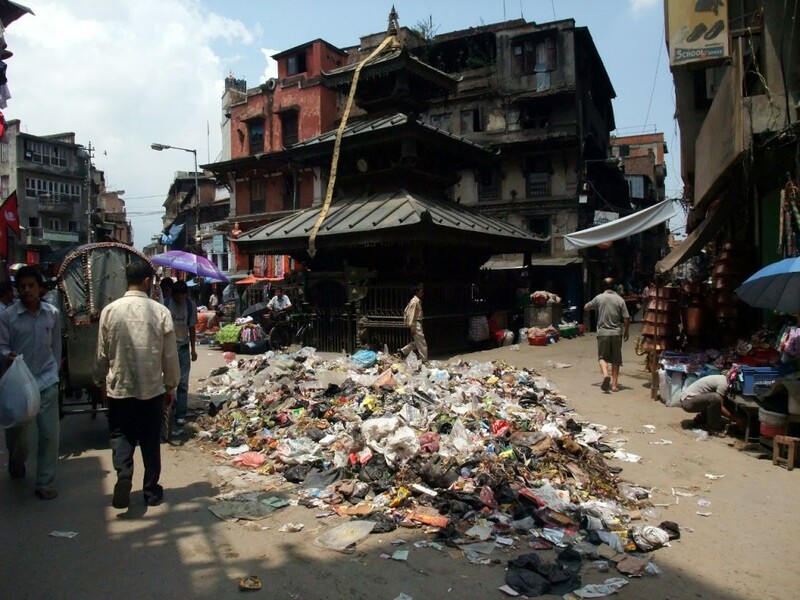 The average Nepali makes do on only $700. This may not be enough, but everything in life is comparative. A sum of money is meaningless outside the context of the economy where it’s spent. I’ve never been able to afford more than a one-bedroom flat overlooking a car park in Central London, but some climbing Sherpas I know own teahouses with multiple rooms and mountain views. I doubt I could find anyone willing to carry my 20kg pack up a mountain in Scotland for a price I would consider worthwhile, but in Nepal many of those same property tycoons are willing to do so because it helps them afford their houses. A couple of friends once took me to a locals’ restaurant in Swayambhu, just outside the main Kathmandu ring road. We had dal bhat and momos, and I couldn’t believe my eyes when the bill came to 120 rupees, or about a £1. I put 360 rupees on the table, and my friends asked what I was doing. “It’s so cheap, I want to pay for all of us,” I replied. In other words, we had dined out for just 33p a head. Even the cheapest, grottiest restaurant in London would have been more than ten times as expensive. If these price comparisons can be made across all essential goods, then $5000 in Nepal is comparable to $50,000 in the developed world. I don’t suppose I will convince Mike Chambers of this argument, but I hope readers of this blog are capable of understanding that the world is not flat. Other statements are misleading, bordering on libellous. 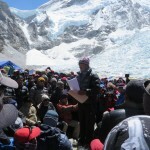 He claims the Sherpa strike in 2014 was “ignited by threats from the commercial guide companies who, the morning of the avalanche, explicitly warned their Sherpa teams that they would forsake all payment if they walked away”. Explicitly, which commercial guide company does he mean? He doesn’t say. In reality the dispute was not between Sherpas and their employers, but between a small number of militant workers and their government. It was ignited when the Nepalese government offered derisory compensation of $400 to the families of the deceased. My own team Altitude Junkies paid their Sherpas in full for the season, but only after we, the clients, had been consulted. We maintained a strong bond with our Sherpas throughout that week as we waited for events to run their course. They were still prepared to climb, and so were we. We hoped the dispute would be resolved and we could continue, but it was not in our hands. Our Sherpas were not responsible for the dispute, and we the clients were unanimous they should be paid whatever happened. We knew this meant we would not be reimbursed for the shortened season. I spoke to a member of the management team of Alpine Ascents, who lost seven Sherpas in the avalanche, who confirmed their Sherpas were also paid in full. Jagged Globe did the same. 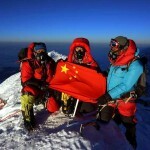 As far as I’m aware most, if not all, Western operators paid their Sherpas in full. Summit bonuses may have been withheld, but it’s not really a bonus if they get paid it anyway. 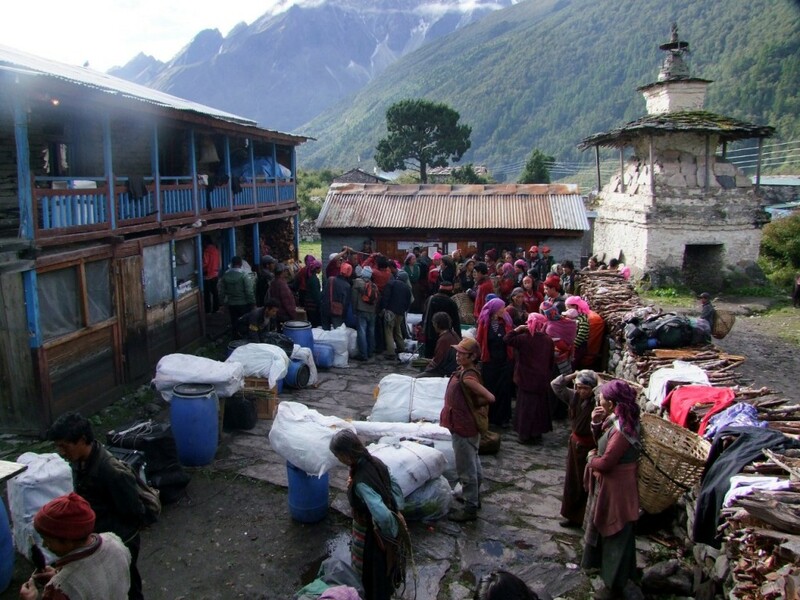 Sherpas, clients and operators all lost out that season and shared the financial burden. Other statements in the New York Times article are simply ignorant. “The conversation about how to make Everest safer needs to begin with the international climbing community asking ourselves how to make Everest more just. What continues to be missing in this dialogue is the narrative around the blatant exploitation of the Sherpa,” says Mike Chambers. Notwithstanding the fact that Sherpa welfare isn’t missing from the narrative at all, statements like these ignore the 100-year history of Himalayan mountaineering, which is inextricably connected with the history of Sherpas over the same period. You cannot pull the two apart. Many Sherpas moved from the Khumbu to Darjeeling in the early part of the 20th century to pick up work with mountaineering expeditions, including the British Everest expeditions of the 1920s. For the next 70 to 80 years there was barely a mountaineering expedition anywhere between Darjeeling and Pakistan that did not rely on Sherpas for its success. Only in the 1970s did alpinists try climbing Himalayan peaks without them. By then the trekking industry had evolved in Nepal and commercial mountaineering expeditions followed in the 1980s. Both of these industries provide employment to Sherpas. Whether it’s income from guiding, portering, owning a teahouse, driving yaks, administering pujas, teaching in a school built by volunteers, or climbing Everest, there isn’t a soul in the Khumbu region whose life isn’t touched by the effects of the mountain tourism industry. 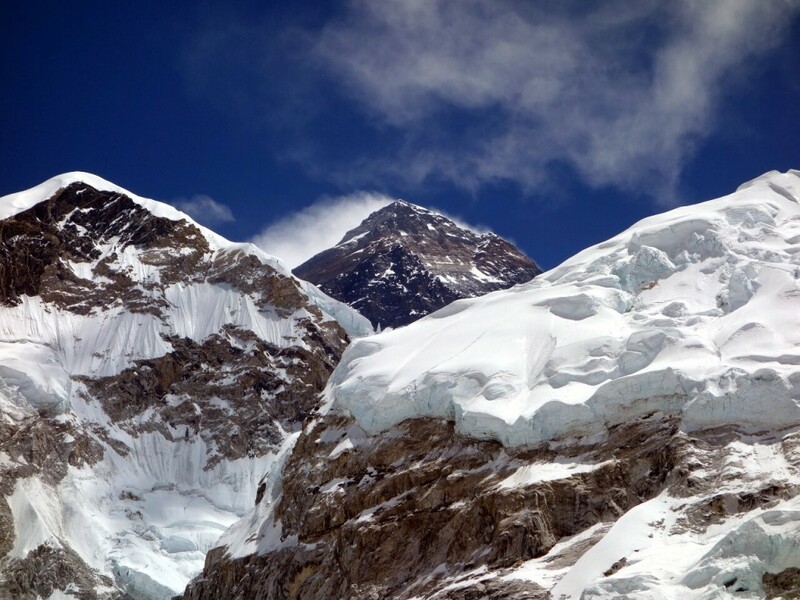 Everest and mountaineering has provided Sherpas with greater opportunities. And now a new generation are more educated and finding opportunities outside of mountaineering. Other ethnic groups, such as Tamangs and Gurungs, are taking their place on Everest expeditions, another positive development. On these points I’m repeating myself from previous blog posts, and for that I’m sorry. As long as ignorance persists, and publications like the New York Times ignore these arguments and continue to incite hatred based on ignorance, I will keep repeating myself. But the story continues, and my own opinion has also changed in the last couple of years. In one respect Mike Chambers is right: Sherpas are vulnerable to exploitation, but not from Western guiding companies, who have higher safety standards. Sherpas who work for top-end Western guiding companies are well paid and well treated, but these companies are gradually pulling out of Everest. Mountain Madness and Mountain Trip are two companies who have ceased operating there. Altitude Junkies have announced that this will be their last year. Alpine Ascents have only two clients this year. I predict more Western guiding companies will withdraw in the future. Cheaper Nepali operators are moving in. Many of these do not have the same business ethic as Western operators. In recent years, poorly trained Sherpas have been employed on Everest and paid a much lower wage. Without any sort of regulation this situation will continue. Nepal’s government is run by a corrupt, criminal elite, who have shown no inclination or ability to impose meaningful regulation on Everest (although they have made plenty of hollow announcements which are eagerly lapped up by the Western media). What regulation there is has been largely self-imposed by operators. Two disastrous years should have spurred change, but this has not happened. The government’s lethargy over Everest was mirrored in the much bigger issue of its response to the April 2015 earthquake. They failed utterly, and spent the winter embroiled in a political dispute while victims of the earthquake remained in temporary accommodation. A year later, the victims are still there. The Everest season rolls around again and very little has changed. I worry about what will happen on Everest this year. Nepal is still experiencing regular aftershocks. If any one of these occur during a morning in April or May, it’s likely dozens if not hundreds of people will be in the Khumbu Icefall. 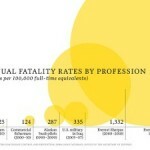 This year there is a much greater risk of another major tragedy. I wish aspiring Everest climbers and operators had stayed away this year. It would have meant less money for the Sherpa economy, but a greater good may have come of it. I can understand better than most why they have returned, though. There are few occasions in life when you have the time, money, inclination, preparation or opportunity. You have to seize these occasions, or you may lose them for ever. Personally I have decided to take a sabbatical from Nepal. I have not been back since November 2014, and have no immediate plans to do so. I can spend a little money there, or vote with my feet by staying away, but many of its problems are in its own hands. They can only be solved by the Nepalese themselves, and not by outsiders. But I’m not abandoning them. I love Nepal and I’m sure I will return some day. Up yours to the New York Times, who do not care beyond the headlines. Sherpa, they continue living, and we will come back. If you care about these issues, please, please read my book Seven Steps from Snowdon to Everest, which I believe explains as well as anything ever written the journey and motivations of ordinary folk who dream of climbing Everest. If you’re a journalist it’s a great opportunity to understand us, instead of resorting to the lazy caricatures others do. Thanks for your analysis on this Mark, some good points and criticisms about the media that have to be said. I still think “jounalists” and the like shouldn’t be allowed to print or say anything unless they can substantiate their claims. I recall prominent barrister Geoffrey Robertson QC, saying a decade ago that no civilised society can allow private media to run vendettas against others etc. I don’t know if you have seen the new movie “Sherpa.” It was on the Discovery network in the US and follows the lives of one of the lead Sherpa during the time of the 2014 disaster. After the movie, I was left with the impression that the Sherpa were not paid (perhaps not those Sherpa) and that the tour operators may have lied to their clients about whether their Sherpa wanted to climb or not and whether there truly was a threat to them if they chose to do so. This may be completely untrue or my impressions may not have been the intent of the filmmaker (Jennifer Peedom)(Renan Ozturk did the outstanding camera work). I have learned enough over the years to take a documentary and view it as an opinion because editing can make such a significant difference in how a person or situation is portrayed. Having lived through that as a commercial client, does seeing this movie (if you have) change your perspective about the events? Thanks for the blogs by the way, I’m reading your book and having a great time thinking about how much fun I would have had if I didn’t have kids. I was in Nepal many years ago and I loved it,but now many tourists coming to northern Thailand where I live.